Great glasses. Arrived quickly and are just as expected. As with all Ray Ban sunglasses, these have great optics and also look great. They're the classic wayfarer style, comfortable, and cool looking. They're large and can be unisex for sure. Fantastic quality from Ray-Ban acetate frames easily distinguishable from cheap plastic too bad they are too small on the temple. These glasses do a wonderful job of blocking glaring rays. Most sunglasses don't shield my eyes sufficiently and I end up getting headaches. The polarized lens makes all of the difference. I would recommend these to everyone looking for a high quality stylish pair of classic eye protection. Love them! I wore my old ones out and ordered these to replace. Great, quick service! I received them one day before starting vacation and took them with me still boxed. Slipped them on next day; fit was perfect along with lenses and frame. Price was very good, better than other websites and my last pair. Will place another order! These are top quality with excellent polarizing effect. Overstock had the best price and availability. Great lens. Substantial weight.i will definitely be wearing for a long time...am pleased with the color frame and lense. I bought the polariced...worth the price. The deep tortise coloring looks really sharp. The lenses are clear - don't be fooled by them calling them 'green' they make things pop a little by improving contrast. They just feel luxurious whenever I put them on. Love love love these. They have been around for years but still the best. Great price and wonderful service. You really need to try these as they are the only pair you will need. I love these glasses. I have a very small head for an adult, and they are the only ones I can find that are not huge on me. They have held up very well. love my raybans!! The look good, feel good and provide the needed sun protection for my eyes. I love this design. However, the glasses were not brand new. It was evident that they had been opened by another consumer. Furthermore, the frames sat lopsided on my face, and must have been damaged or warped. Perfect fit I have a small face and they fit perfectly!!! "What color are the lenses. They look like green. Please confirm." This was a gift, and decided to have one for myself. "These are the genuine article? The dark tortoise?" Yes they are 100% authentic from the manufacturer- Luxottica. Yes, this model is the dark tortoise version of the frame in a 50mm lens. "I are the lenses glass?" "What color are these glasses? Are they black or tortoise - the photos show both." 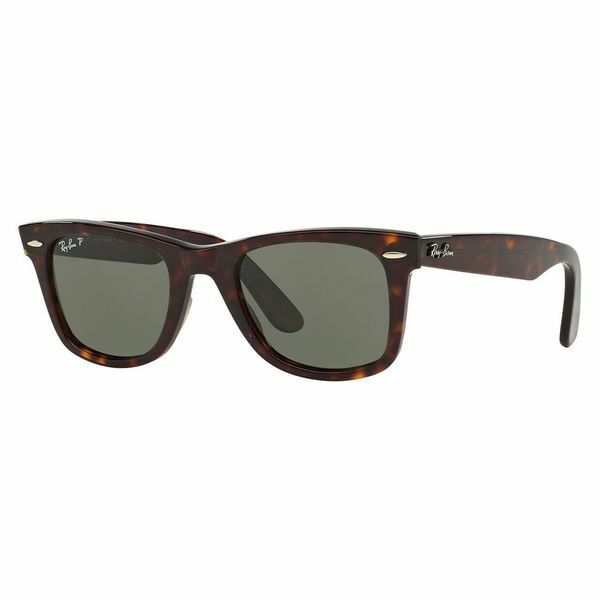 These Havana sunglasses are tortoiseshell patterned. "Hi, I have two questions about these sunglasses. Are they brand new? Are they polarized? " This item is new and has not been previously owned. They are polarized as well.